RSMembership! 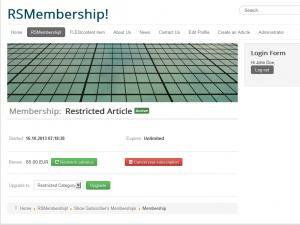 offers a simple feature that enables you to set up membership upgrades - Upgrades. 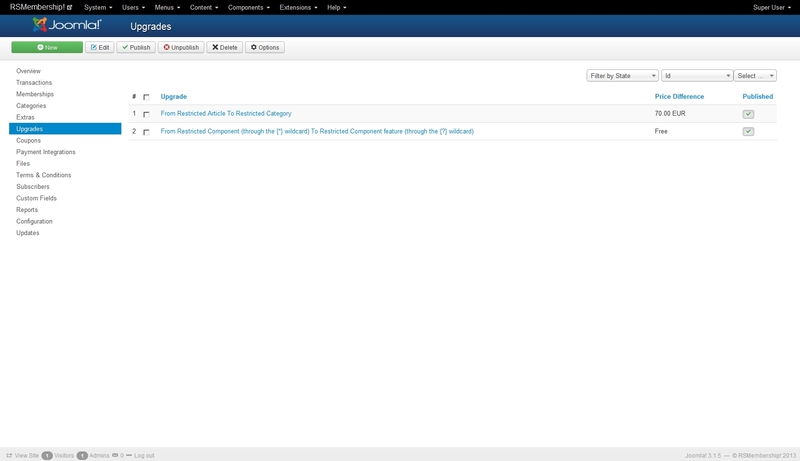 You can access this feature by heading to Components >> RSMembership! >> Upgrades. 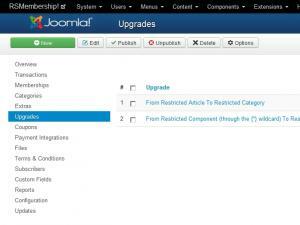 Published: Set whether the upgrade is published or not. From membership: The membership that will be upgraded. To membership: The target membership. Price difference: Specify a price difference between the two memberships. Click on Upgrade and you will be redirected to the standard membership subscription form, where you will need to provide your payment information.